“If you have a mother, you need to love her with exaggeration that is why I need some space when I’m with my mother because if it was not for her, I wouldn’t not be standing on this stage now. 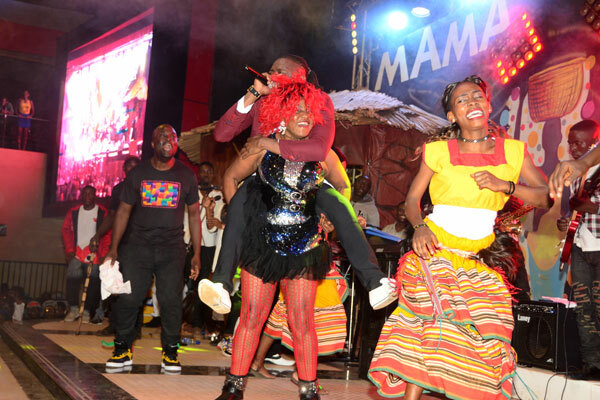 “ Pallaso said before inviting his mother on stage to perform for her ‘Mama’ which was the title track of the concert, also It is in this video that his mother appeared as a video vixen. 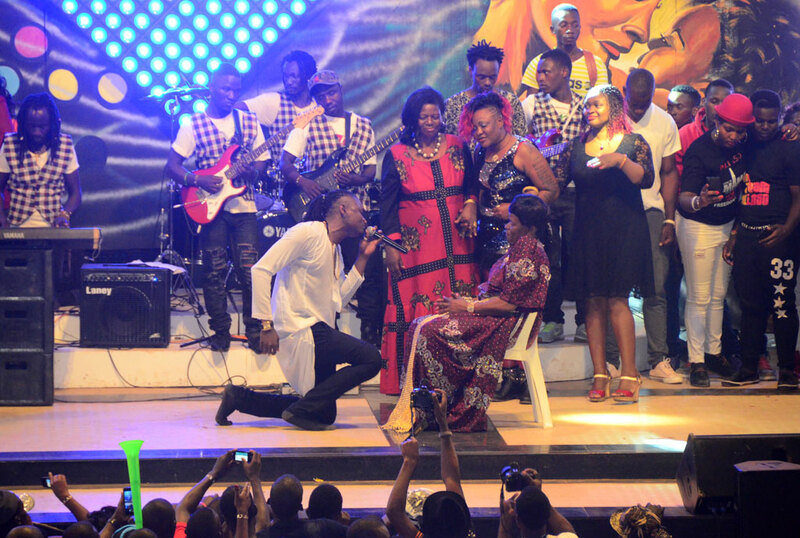 Pallaso performed the song while kneeling for his mother on the stage. He was full of emotions and every word he said was felt by the audience. 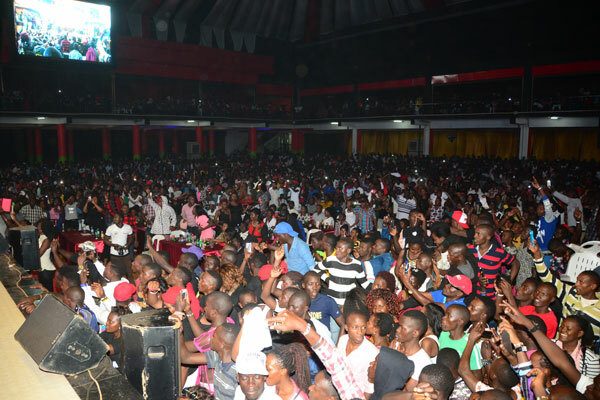 The artiste prior to the concert which was held on Saturday evening at Freedom city thought it would turn out to be another flop. 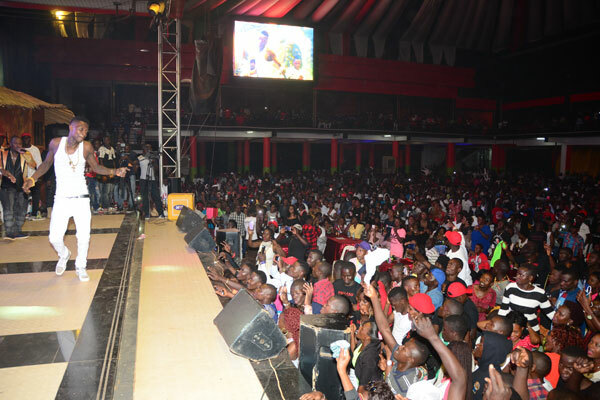 Mainly because a lot has been going on in his music career dominated by bad publicity but he got the surprise of his life after thousands flocked the venue to support him. Not as much as those who attended his first concert last year though, but the number was overwhelming. “Thank you for showing me this love. Many thought this was going to be a flop but look at what you people did. I encourage the media to write and air the number of people who are here. 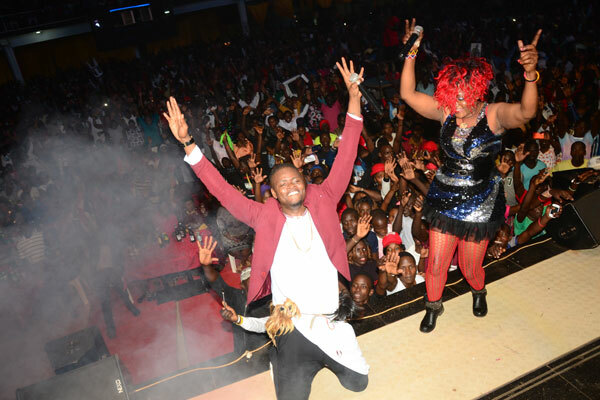 Thank you ounce again.” Pallaso said. 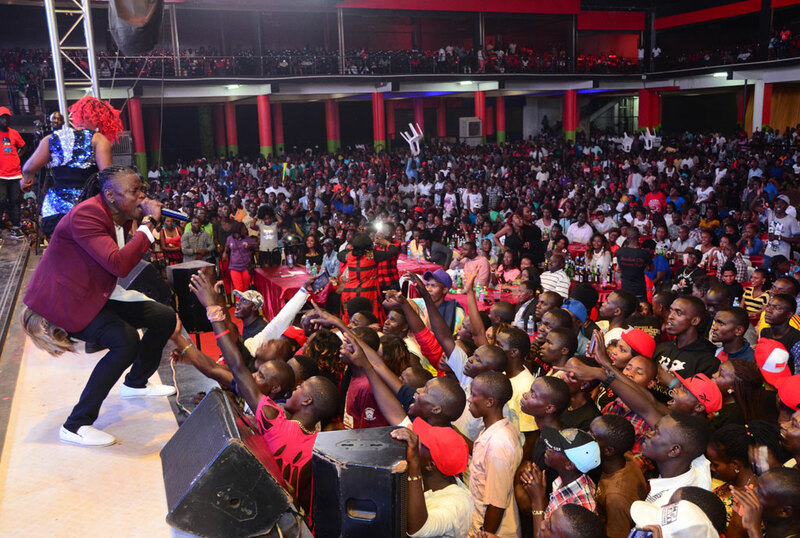 Meanwhile he had earlier done songs like ‘Twatoba’, ‘Go down low’, changing the chorus from ‘Team no sleep’ to ‘Team good music’, ‘Mundongo’ and ‘Sorry’. 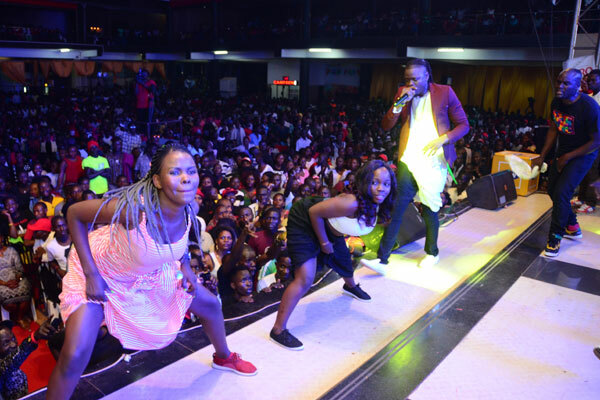 He didn’t attract many supporting acts as Chameleon and Bebe Cool were the most notable ones at the concert that ended at 2am on Sunday morning.